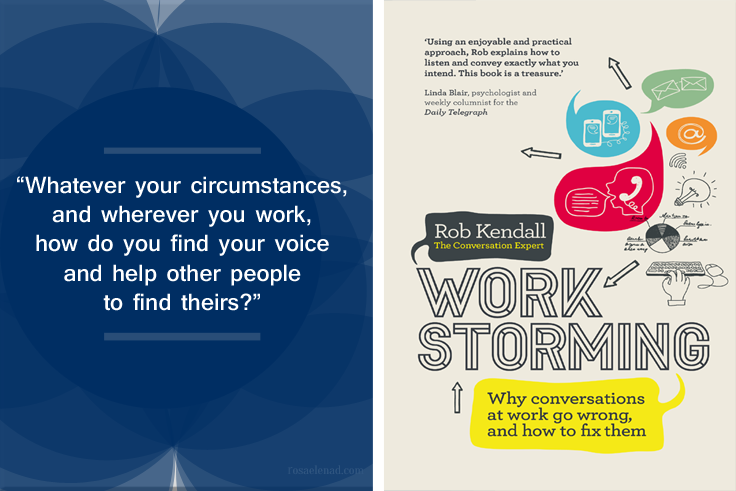 Rob Kendall, the author of Workstorming, has studied the best and the worst of communication for over 25 years and how they affect productivity, relationships and health. Unnecessary or a waste of time meetings: 37 billion a year in the US. Multitasking costs US businesses: 650 billion a year in lost productivity through distractions. Mixed messages costs: 37 billion per year to US and UK businesses. Rob Kendall gives more examples throughout the book from funny to tragic, where costs are not money but lives, to illustrate the four survival strategies used to cope with miscommunication at work the wrong way, and how to fix them: stacking, spinning, skimming, and spilling. Stacking: Time. A tied schedule with no room to think or maneuver through any changes. Spinning: Attention. Going from one conversation to another creates errors as the attention span diminishes. Skimming: Information. You miss important information trying to get more quantity than quality conversations. Spilling: Boundaries. Multitasking that goes on detrimental to conversations, for example, reading emails during a meeting. 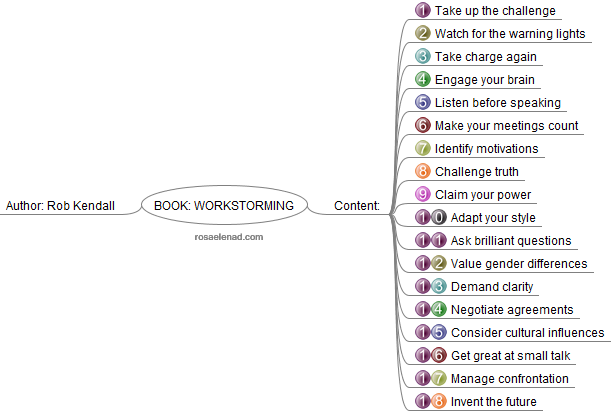 Workstorming includes 18 chapters/lessons on why conversations at work go wrong and how to fix them. Moreover, exercises and transcripts enhance the ideas presented in each lesson. Plenty of information in previous chapters to prevent chapter 17 Managing confrontation on how to deal with difficult conversations. The author emphasizes mindful conversations led by choice to shape the present and create the future. A book to study and make this skill a habit.